Hanoi (VNA) – Agro-forestry-fishery exports are estimated to have yielded 8.8 billion USD in the year’s first quarter, a year-on-year fall of 2.9 percent, the Ministry of Agriculture and Rural Development has said. Major farm produce shipped overseas brought home 4.2 billion USD, down 13.4 percent, of which some 1.43 million tonnesof rice were sold in foreign markets at a value of 593 million USD, dropping 3.5 percent in volume and 20.2 percent in value. However, the ministry relished in the rosy prospects for rice shipments in the second quarter of the year, boosted by numerous orders to be implemented in the period. Coffee shipments also experienced a downward trend as the exported volume decreased 14.2 percent to 483,000 tonnes with earnings sliding 22.8 percent to 841 million USD. Germany and the US continued to be the largest importers of Vietnamese coffee, accounting for 22.8 percent of the country’s total shipments. The export price of pepper plummeted 27 percent on supply pressure, causing export revenues to dwindle 18 percent to 182 million USD despite an increase of 19 percent in export quantity. The US, India, Pakistan, and the United Arab Emirates were the biggest markets for Vietnamese pepper, together making up nearly 43 percent of the market share. Cashew exports edged up 2.1 percent in volume to 76,000 tonnes, but prices tapered off 19.2 percent to 609 million USD. During the period, fruit and vegetable exports earned the country 879 million USD, down 9.3 from the same time last year. 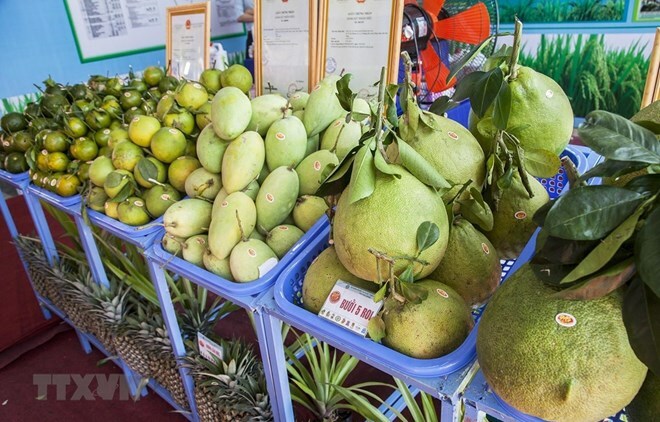 China captured the lion share of Vietnamese fruits and vegetables at 73 percent. In stark contrast, exports of seafood and forestry products rose 0.5 percent and 16.5 percent to 1.8 billion USD and 2.4 billion USD, respectively.